Our notary public zippered vinyl pouch is perfect for storing your 'tools of the trade' or conveniently carrying everything you need for wherever notary transactions are performed. 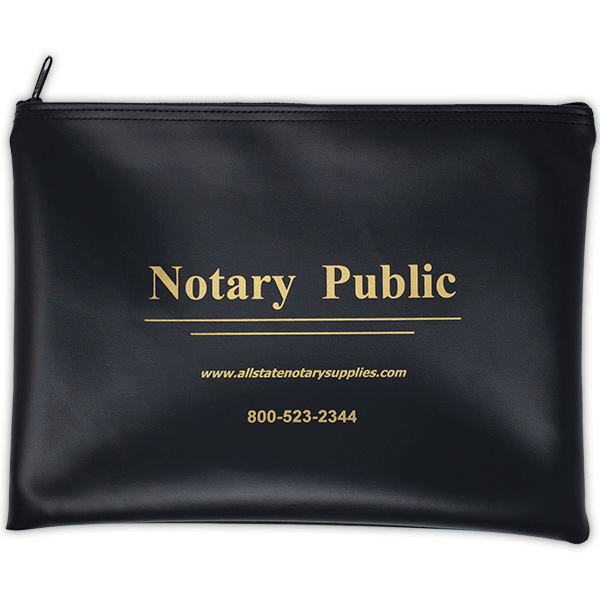 Perfect for conveniently storing and carrying all your notary public supplies, our durable vinyl zippered pouch is made of the highest quality workmanship and made to last. Bag measures 10" x 13"